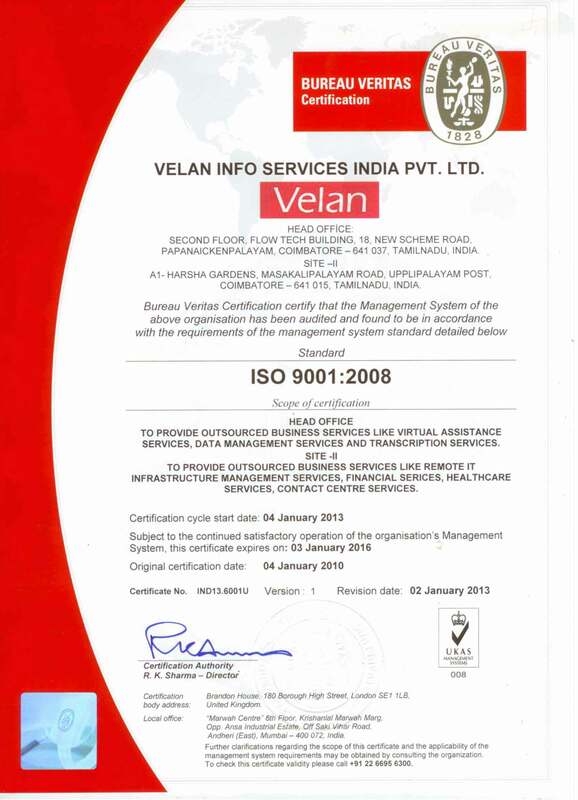 Velan Info Services is committed to protecting your privacy as we understand the significance of securing customer data & info in all phases of its operations. We take utmost care to protect customer property not only in the product realization process but also in storage and logistics. We will never pass any of your details to a third party without your prior permission. We are committed to protecting your privacy and before providing us with any of your details, please read the following important information which concerns the protection of your personal data. We will store and process any personal information which you may provide through the Site or by emails and/or online forms for the sole purpose of our own internal business only. We do not pass on or sell online personal information to any third party providers. We may however share information within our organisation. Please note that by sending your personal information to us you are explicitly consenting to the processing and transfer of such information in this way. If any information with which you have provided us becomes inaccurate or out of date, or if you have any queries about this privacy statement, please contact us.